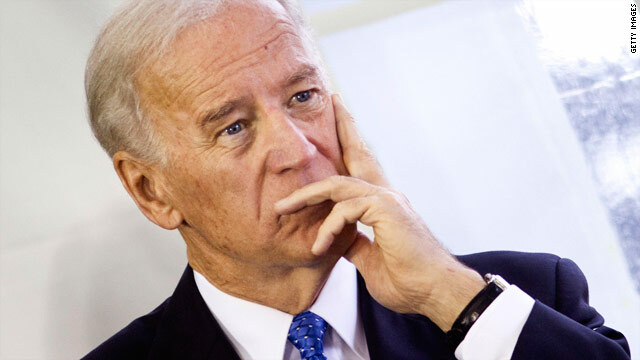 Washington (CNN) – Vice President Joe Biden, who spearheaded the White House's effort to find ways of reducing gun violence, admitted to reporters Thursday that any measures passed by Congress would fail in totally eliminating gun deaths. Biden was speaking on Capitol Hill after meeting with Democratic lawmakers to build support for gun control legislation currently making its way through Congress. While he said no law could ever eliminate gun deaths, the vice president stressed that attempts must be made to prevent gun violence, particularly as Americans are demanding an answer from the government on how to end tragedies like the December massacre in Connecticut. "Nothing we are going to do is fundamentally going to alter or eliminate the possibility of another mass shooting or guarantee that we will bring gun deaths down," Biden said, echoing remarks President Barack Obama made in January when he said "there is no law or set of laws that can prevent every senseless act of violence completely." In December and early January, Biden led a panel assigned by President Barack Obama to look into the issue of gun violence. Using the group's recommendations, Obama proposed that Congress pass laws reinstating an assault weapons ban, limiting gun magazine capacity, and expanding the type of gun sales requiring background checks. Democrats have said the background check measure would stand the best chance of garnering bipartisan support, including from some pro-gun Democrats. At a congressional hearing Wednesday, Democratic Sen. Chuck Schumer of New York said that he is in talks with colleagues - including several who are ranked highly by the NRA - on possible legislation to expand background checks on private gun sales. Sources close to both Schumer and Republican Sen. Tom Coburn of Oklahoma told CNN the two were in serious discussions about co-sponsoring a bill to strengthen background checks. Sen. Dianne Feinstein, D-California, has proposed reinstating an assault weapons ban, which was in place for a decade beginning in 1994. It expired in 2004 and hasn't been renewed. Biden said Thursday that he "made the case not only for assault weapons but for the entire set of recommendations as the president laid out." Biden told reporters Thursday he believed there has been "a sea change in attitudes of the American people" on guns following the December 14 shooting at an elementary school in Newtown, Connecticut. "I believe that the American people will not understand, and I know everyone in that [Democratic] Caucus agrees with me, will not understand if they don't act," Biden said. Instead of banning assault rifles.... maybe we should be banning obama's Blame-thrower. I swear that his indescriminate use of this weapon of mass consumption has done more harm to the people of this country than any other device or weapon created by man!!! "Duh–traffic laws don't eliminate auto accidents either. But just imagine how many more accidents we'd have if it weren't for traffic laws." Indeed. Starting with "there are these things called roads and streets, and that's the only place you're allowed to drive your vehicle." Actually gun confiscation HAS been discussed...to the contrary of liberals claiming otherwise. Diane Fienstine herself called for it years ago and its being talked about in many liberal blogospheres in numerous op-eds where they lay out there long term plans for eventual and total gun confiscation and elimination. Some arrogant authors even claim that we should "ditch the Constitution", presumably because they realize that that's the only way around the 2nd amendment and supreme court rulings affirming gun ownership as an individual right.......and they hate that pesky constitution thing.....darn. So my message to the gun grabbers...Give it up...go advocate murdering some babies or something, or other repulsive radical agendas. And no...I don't want to hear about this is all about the poor little children...seeing how the President and his drone killing program has slaughtered thousands of children in the middle east...I guess to you all...they dont count. These laws do nothing to reduce massacres or gun violence. These laws are the result of an inept government that fails to balance the books, allows gas prices to sky rocket through the roof while inflation and unemployment run wild. These laws are government's response to the mob. Government is simply pandering to the nervous gerbils of society. Ban Assault Weapons, ban high capacity magazines. What's can we look forward to next when a criminal (who under the current laws cannot possess a firearm) buys an AK47 fully automatic with a 150 round drum on the black market and uses it in the commission of a crime. But why stop at guns America? How about banning knives, axes, baseball bats, billy clubs? How about banning cars and airplanes as well? On 9/11, more people were killed by two aircraft slamming into the twin towers than all of the mass murders combined. More property damage and health issues have cost tax payers trillions of dollars on that one day in that one incident than all of the gun related crimes for the past 100 years. Yet, governments answer was to deny first responders medical aid and compensation while sending our troops to be killed or maimed in countries thousands of miles away. More people are getting killed on our streets and highways by cars-and yet I don't see any legislation proposed before the House or Congress to ban aircraft or automobiles. Finally, as a society, we need to make sure our laws are upheld in a fair manner. Not one set of rules and laws for the "elite" of society and another set of rules for the poor slobs. Judges frequently engage in a practice known as "Judicial Activism." Here judges can convolute the written law into anything they see fit. This is nothing short of outrageous, confusing, acts against all reason and, such a practice is not only illegal-but must be stopped. Thank you for your time dear readers. Sonny – cant speak for you but, as a military combat vet, I have made more scrifices than you realize defending our constitution and prefer that the dems quit ignoring it! I wish people would see the "BIGGER" picture here, no one said that enforcing stricter laws would reduce gun violence.. but SOMETHINg has to be done. The laws we have now are obviously not working. And it took the bigger massacres for the goverment to open their eyes. Every human life is important and right now they are trying to reduce gun violence in the FUTURE, they are not idiots they know that whatever they are doing right now will immediatley take into effect. If people werent so close minded and able to see the broader scope of things maybe it would make a little more sense! Just reinforces what so many of us have been pointing out for weeks now. New gun laws are designed to strip our citizens of the ability to defend themselves rather then make us safer. Clamoring for new laws is an emotional reaction to a horrific event. Feels good but irrational and unjust. Lets enforce the laws we have on the books and stop the attacks on law abidong patriots!! Who ever said such laws would eliminate ALL massacres?? Then why pass them, unless it's only to penalize law-abiding gun owners, the majority of whom are conservative? So only laws that will be 100% effective should be passed, or ones that don't affect conservatives? This type of "logic" typifies a lot of what is wrong with the legislative process in this country.